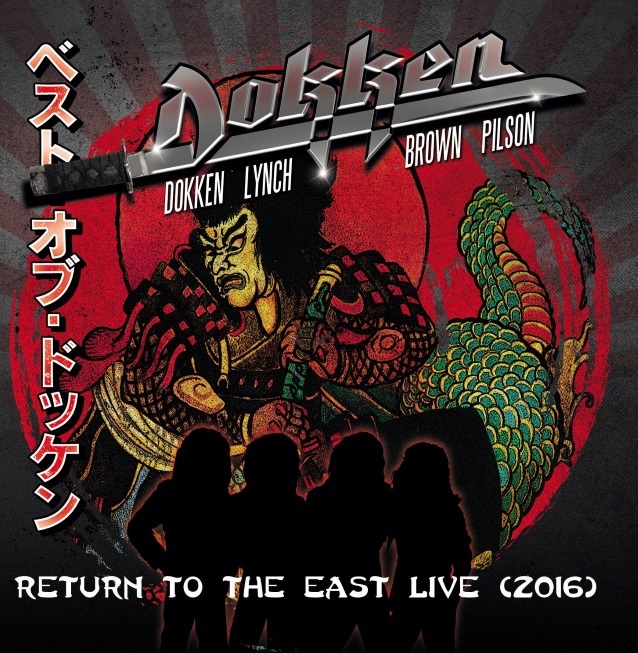 In October 2016, the classic lineup of DOKKEN — Don Dokken (vocals), George Lynch (guitar), Jeff Pilson (bass) and Mick Brown (drums) — reunited to play the Loud Park festival in Japan. Fortunately for fans outside of Japan, cameras were there to capture the performance and now Frontiers Music Srl is set to issue “Return To The East Live 2016” on April 20. In addition to the Japanese performance, this set will feature footage from the classic lineup’s only U.S. show in September 2016 at Badlands in Sioux Falls, South Dakota. If the release wasn’t amazing enough, the package includes a brand-new studio track, “It’s Just Another Day”, and two acoustic re-workings of classic tracks. As for the musical direction of the new song, Don said that it is “very DOKKEN-sounding” and “very classic ’80s” with “big harmonies. It’s just like ‘Paris Is Burning’ meets ‘In My Dreams’,” he said. The track is the first new song to be recorded by the classic DOKKEN lineup since the 1997 “Shadowlife” album. In January, DOKKEN filmed a video for “It’s Just Another Day” with director Jamie Brown, who has previously worked with LYNCH MOB and KXM.